St Clair Dental offers you options to keep you comfortable throughout your dental procedure. If you’ve been avoiding going to the dentist due to nervousness or anxiety, rest assured that we make every effort to ensure that you feel stress-free when you visit us. Inhalation sedation and IV sedation are both available to our patients. Sit back, relax and breathe using a mask that you can breathe normally in while wearing. It takes effect fast and prevents you from feeling the full effects of any discomfort. There are no side effects following the procedure. Since you’re feeling completely at ease, we can even perform more than one treatment in a single visit. 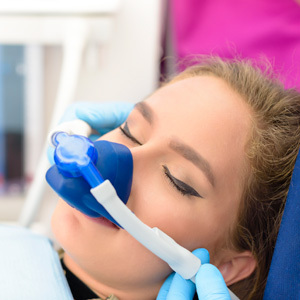 If you’re having wisdom teeth extracted or dental implants done, our anaesthetist will administer IV sedation. You’ll feel an extreme sense of relaxation and upon the completion of your procedure, won’t fully recollect what was done. Multiple treatments can be taken care of at once with this option. You’ll need someone to drive you home and will require resting the remainder of the day. Please note that there is an added cost for IV sedation. Contact us today to book your time! We accept health funds and offer late opening hours.